The quick installation method automatically checks the computer and its hardware components and installs accordingly. If any hardware component does not meet the recommended minimum specification, a warning is displayed and the installation halted. Note: Installing will ERASE ALL DATA from the computer’s hard disk / storage device. This includes any connected USB storage device. Ensure that all valuable data is safely backed up before you continue. 1. Insert the installation CD into the CD-ROM drive and reboot the computer. 3. When the installation program has initialized the drivers, you are prompted to choose whether to install using the advanced mode. For a detailed description of running the advanced installation procedure, see Using the Advanced Installation Method. 4. Wait 5 seconds to run the quick installation procedure. 5. From the Welcome screen, press ENTER to start the installation. 6. If more than one hard disk or storage device is detected, you are prompted whether to enable software mirroring. To enable software RAID 1 support, select Yes and press ENTER. Continue the installation at step 7. Note: When using a hardware RAID device, the first volume on the first detected RAID card is used. This is typically set up by RAID BIOS. To skip RAID support, select No and press ENTER to continue. a. If you said No to RAID 1 support, you can choose whether to use the second disk as a separate store for log files. This is useful if the two disks are different sizes — the bigger disk should be used to store log files, with the smaller disk for the operating system. This also works in hardware RAID setups. 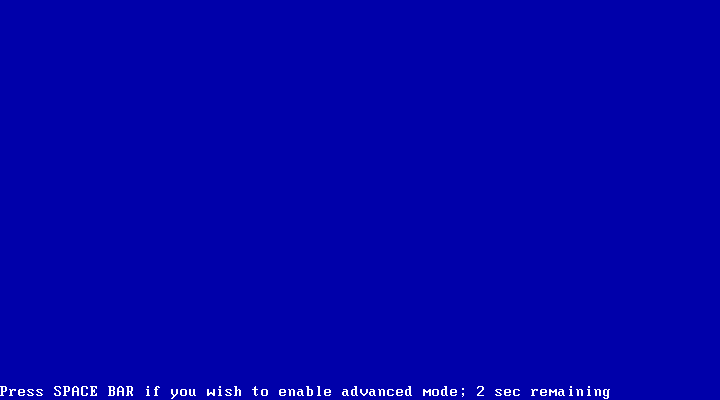 For example, volume 1: 2 disks in Mirror (OS) and volume 2: 4 disks in RAID5 (Logging). 7. Press ENTER to proceed. Note: Continuing will ERASE ALL DATA from the computer’s hard disk / storage device. This includes any connected USB storage device. Ensure that all valuable data is safely backed up before you continue. This screen is the last opportunity you have to cancel the installation before data is erased. Smoothwall cannot be held responsible for any loss of data. 8. The Smoothwall continues with the installation. When complete, you are prompted to reboot. 9. Once the reboot has completed, you are prompted whether to restore an existing archive. Select No and press ENTER to continue. Note: Select Yes only to restore configuration from a previous installation. For a detailed description of restoring an existing archive, see Using the Advanced Installation Method. 10. Choose your keyboard layout. Use the spacebar to display the keyboard options, and the arrow keys to move up and down the list. Select Next and press ENTER to continue. 11. Configure a valid hostname for your Smoothwall. We recommend that you only use lowercase characters in the hostname. If this Smoothwall instance is going to integrate within an existing network infrastructure that uses domain name structuring, enter a fully qualified hostname that is appropriate to the system’s position within the hierarchy. 12. Select Next and press ENTER to continue. 13. You are prompted to configure the interface used by the administration user interface to access the Smoothwall. You configure all other interfaces separately — see Working with Interfaces and Roles . Highlight the relevant Network Interface Card (NIC), and press ENTER to continue. • IP address — The IP address of your Smoothwall’s NIC on your internal network. • Subnet mask — The subnet mask used in conjunction with the internal IP address to define the network that this NIC belongs to. • Gateway — If a gateway is required, press the spacebar to display the gateway menu. a. Select Enter an IP address. b. 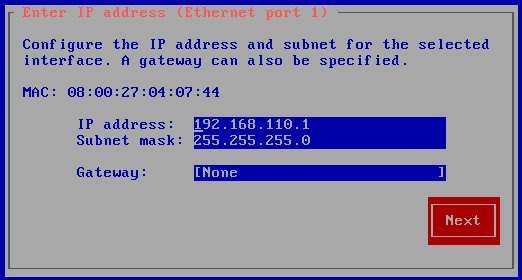 Enter the IP address of the gateway that your Smoothwall should use. 15. If you have a Software UTM serial, skip to step 16. 16. You are prompted to configure passwords for the administration user accounts. Enter a strong password for your Smoothwall’s admin account used to access the administration user interface. Confirm the password in the Again box.  Are never written down or stored on-line. 17. Select Next and press ENTER. 18. You are prompted to configure passwords for the root user account. Enter a strong password for your Smoothwall’s root account used to access the administration user interface. Confirm the password in the Again box. 19. Select Next and press ENTER. 20. Your Smoothwall now reboots to complete the installation. After rebooting, you can access your Smoothwall from a network client running a web browser — see Accessing the Smoothwall .